There’s a funky little shack on Siesta Key where we can get together and make jewelry. Owner Kristine has been beading forever. Beads are her passion, and it’s evident when you visit. She goes to shows and collects all the beads for this store and another one in Lakeland. Here since 2009, there are three bead artists who make jewelry on-site and can help you pick beads for your own designs, whether you’ve done this before or this is your first time. 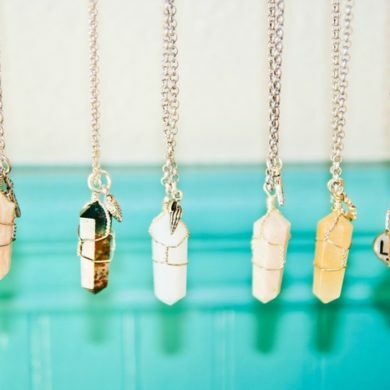 She’s what you might call a crystal guru – she knows the meaning of all the beads and jewels. So, she’ll tell you, all her bracelets are magical. To create one for you, she’ll ask about your birthstone, sign or what you’re looking for in life before helping you find you find the perfect beads to wear. There are all sorts of beads, stones and crystals to choose from, to make the perfect bracelet, anklet or necklace! So come on in and get beading, baby. The Bead Shack is located at 5263 Ocean Boulevard in Siesta Key. For more information call (941) 349-1188.